We currently can’t get our hands on wireless charging cars just yet, but Qualcomm has tried it out during the Formula E race in California. This kind of charging for electric cars won’t be available for the regular consumer just yet, but it might be coming a bit sooner for electric race cars. 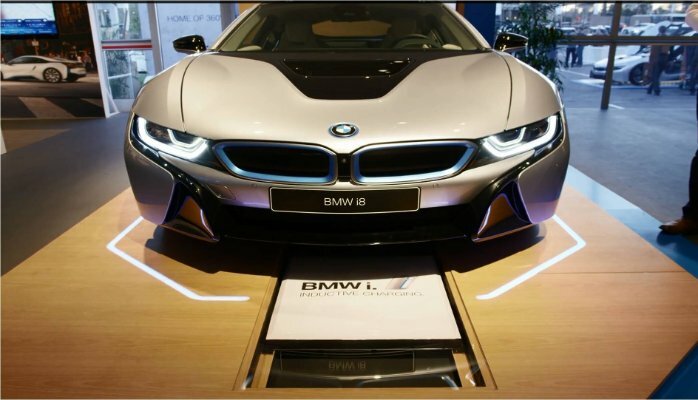 Qualcomm showcased their Halo system, which is what they’ve named their wireless charging system, imbedded in the BMW i8. With this kind of technology starting out, how does it actually work? The concept of their wireless charging is similar to how Qi wireless charging is, such as the ones used for smartphones like the Galaxy S7. One coil acts as the transmitter, which is the power source, and another coil is at the bottom of the car for the receiver. The transmitter coil creates a magnetic field around it and when the receiver coil reaches that magnetic field, the current from the transmitter can then transfer to the receiver coil. With all this information, the limitation to this is the distance between the two coils. Great thing that Qualcomm was able to make their Halo system work at a maximum gap of 10 inches between the receiver and transmitter. That’s more than enough to fit the regulation needed for most cars. Although this is just a taste for what the future can be, we’ll never know if this will be the coming future, or just a dent in our hopeful imaginations. We’re hoping that there would be car manufacturers willing to push this feature in their upcoming electric cars.